Talking about localisation… To celebrate WorldPride Day 2019, Virgin Atlantic is launching a Pride Flight. Staffed by an all LGBTQ+ cabin crew, the flight will take passengers from London to New York City, this year’s host and the home of the Stonewall riots, which is considered to have been the impetus for the modern gay pride movement. Commemorating the uprising’s 50th anniversary, this occasion also marks the first time that WorldPride has been held in the United States. The once-in-a-lifetime flight will set off on 29 June 2019 and will be hosted by Tituss Burgess. To make the trip even more fabulous, passengers can pass the hours with a Judy Garland sing-a-long, drag queen bingo, live performances and more! Virgin is also donating tickets to The Attitude Magazine Foundation, which supports pride initiatives throughout the UK. With flexible return tickets, passengers will arrive just in time to stay in town for NYC Pride Parade, which will be held the following day. 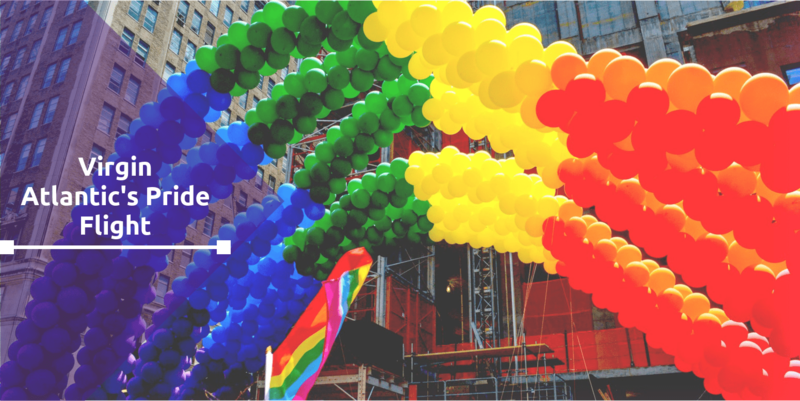 For a look back on other Pride-filled campaigns, click here.